The Tesla Model 3 is about to hit the market, but is Australia ready? Despite being one of the most highly-anticipated electric vehicles out there, The New Daily suggests that Australia isn’t prepared for an electric car overhaul. Although the electric vehicle market in Australia has grown strongly since they first hit our shores in 2011, is this market at risk of stagnation? In this article we’ll explore the changing landscape of electric vehicles, and why DaRa Switchboards will play an essential role in helping this sector flourish. Has the plug been pulled on electric vehicles? While clean sustainable technology is still the priority of many Australians, the Herald Sun says that pure electric vehicles are at risk of losing out to their hybrid cousins. In a recent article, the Sun points out that more conventional petrol-electric cars are what consumers are embracing because of the fallback option to run on petrol when vehicles run out of stored battery power. Despite this trend, the Electric Vehicle Council states that over 50 per cent of Victorians are willing to buy electric vehicles, and that close to 20 per cent have already begun researching options. The Tesla Model 3 is sure to spur renewed interest, so what can companies do to steer consumers away from hybrid and fully embrace the electric future? DaRa Switchboards was naturally the preferred option for the Tesla Ballarat Supercharger Station. To complement the Model 3 when it eventually reaches Australian waters, Tesla has completed its Supercharger site in Ballarat and is now operational, according to Car Advice. As part of the grander plan to expand electric vehicle charging across Australia, this six-bay charging station is pegged to be the first connection between Melbourne and Adelaide, designed specifically for city-to-city travel. According to Car Advice, a 30 min charge will give drivers 270 km of driving range. Ultimately, it will be easier for electric vehicles to stay on the road and recharge as conveniently as possible, giving a much-needed boost to the nation-wide market as more and more stations pop up around the country. 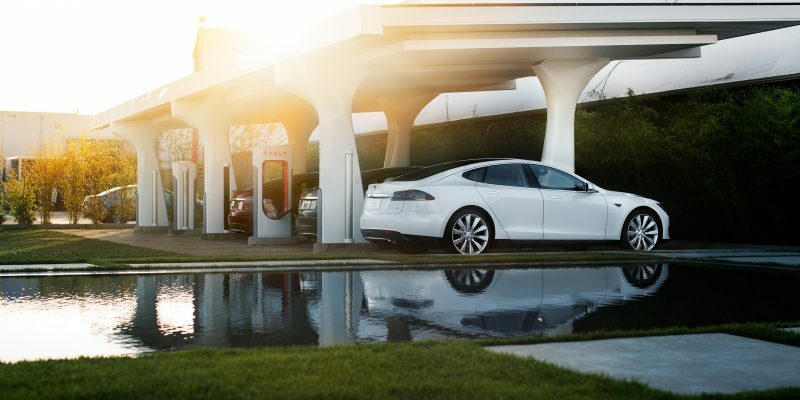 As Australia’s leading electrical switchboard manufacturers, DaRa Switchboards was naturally the preferred option for the Tesla Ballarat Supercharger Station. With robust, customisable switchboard manufacturing and design, DaRa Switchboards played an integral part in the success of this station. To find out more, start up a conversation with a member of our team today.